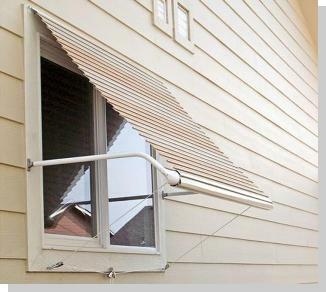 DIY Applications Designed for the Homeowner! 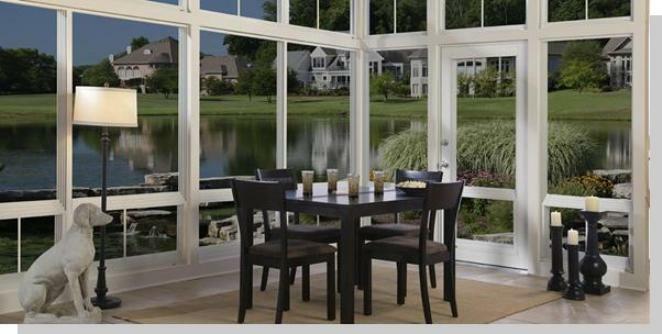 Home Porch & Patio Kits works with a number of manufacturers, carefully chosen, to provide a wide variety of both materials supplied and modularized kits, each specifically designed to create an indoor space outdoors. 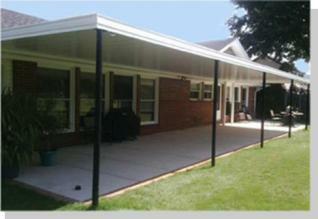 Screen in existing roof lines with our screen walls only, porch screening systems. Cover your existing deck or patio with a retractable fabric patio awning or choose from 4 styles of a permanent aluminum patio cover installations. Do it yourselfers will find the screen rooms and modularized sun rooms with insulated roof, walls and low-e windows an attractive alternative to expensive contractors. Window awnings, door canopies and a large selection of bulk screening will help you confidently finish of those home beautification projects you have been putting off. From Innovation to Transformation... Doing it yourself does not mean doing it alone! provides everything you need for sun and bug protection that works! Kick-back and relax, protected from the sun’s harsh rays and annoying flies and mosquitoes. Only the finest quality materials are supplied to you. 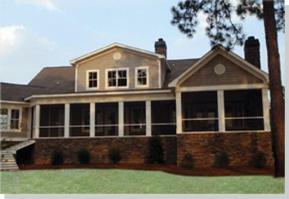 This Porch Screening System is accomplished using up to 4 profiles of extruded aluminum framing. Choose from white, bronze, or clay colors. 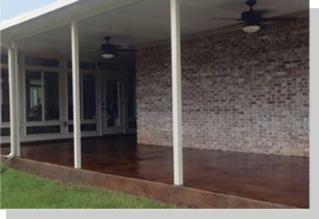 Perfect for enclosing front porches, or patios and decks with existing roof lines. Modular DIY kits, come in a variety of forms whether it is a window awning or an insulated wall. No matter the case, we work with you from design to installation. A full line of screened enclosures, patio covers, sun rooms and awnings provides everything you need from shade to a mosquito free environment! 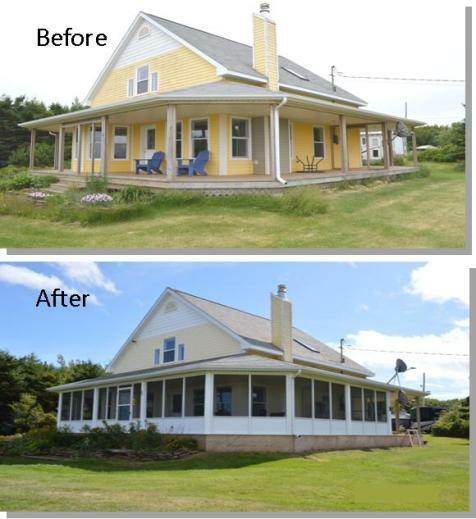 Transform that existing patio roof structure into a 3 or 4 season living space. With our modular insulated wall & window system your porch and patio can now become an office, workout room or simply a nice place to retreat away from the elements. 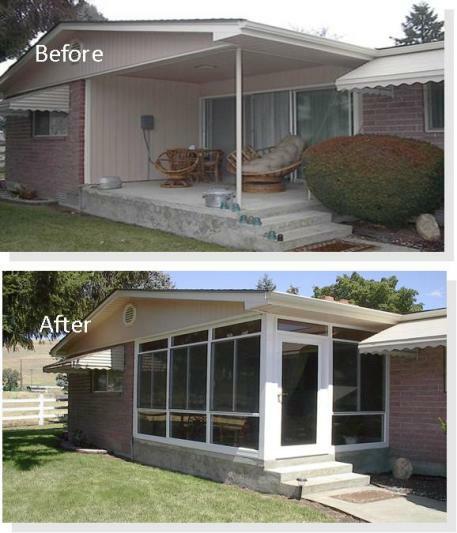 Our insulated wall systems offer the benefits of a sunroom and can easily be installed under your existing structure. Modularized polystyrene core structural walls with a variety of windows and doors to choose from. Perfect for the DIY homeowner... and their wallet! No existing roof? No problem! We can use flat pan roofing systems or our snap-lock insulated roofing systems over top of the screen walls application. All roof structures are designed to conform to your local load requirements. There is nothing like having a screened enclosure installed next to the pool! 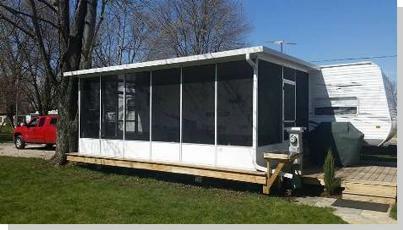 RV & Trailer screen room installations are extremely popular! We combine our fully engineered load bearing EPS core roof panels with our extruded aluminum framing system to help you create the perfect three season space. They are here! Fully modular insulated roof and walls with high quality vinyl sliding windows in a huge variety of sizes and glass packages. We also have a great selection of doors and sliding doors and you can improve the aesthetics of the finished project with glass kickplates and transoms. All components are engineered and everything is sent to you so that you and your team can easily put on a new addition at a fraction of the price of traditional stick built construction. 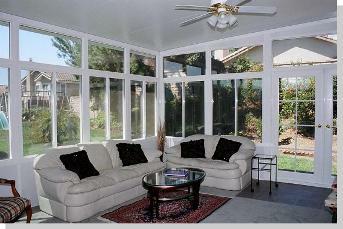 These sunrooms are designed to be beautiful, durable, energy efficient, and are backed by a Lifetime Limited Warranty. 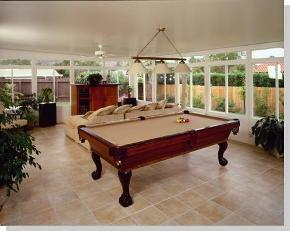 Create a new outdoor space while enhancing your property value. Each cover is custom designed and fabricated to your particular needs and load requirements. Choose from the inexpensive and always popular W Pan or Flat Pan aluminum roll-formed covers which have a baked-on enamel finish. Of course the traditional and strong Insulated Panel patio covers with all extruded aluminum profiles, posts and beams will never disappoint. Want shade on demand? Retractable patio awnings come in a huge selection of sizes and fantastic array of Sunbrella fabric choices. Now you can finish off the area you just screened in with a set of lip frame vinyl windows! 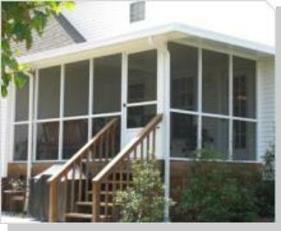 This is a versatile porch & patio enclosure system that you can install and take out with the turn of a clip! Attractive, strong and easy to operate. The 10-mil vinyl is as transparent as glass without the cost or the weight. They come with a lifetime warranty on frames and 10-year warranty on the vinyl itself. Want shade on demand? Retractable patio awnings come in a huge selection of sizes and fantastic array of Sunbrella fabric choices. This is your chance to turn that deck or patio you can't use because of the hot afternoon sun into an inviting outdoor oasis! High quality marine weave fabrics on an extruded aluminum retractable frame allows you to control the sun! 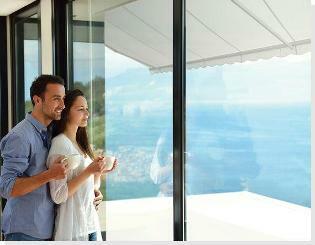 Retractable Deck Awnings come in a huge selection of colors and sizes! 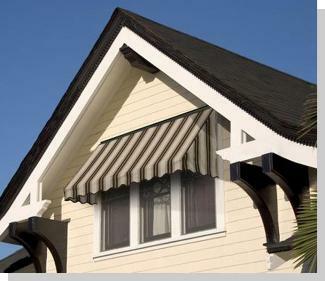 We carry a large variety of outdoor window awnings all partially assembled and delivered directly to your home. The Futureguard line of window awning kits are made 'to the inch' and have been installed on homes throughout the USA for over 25years. 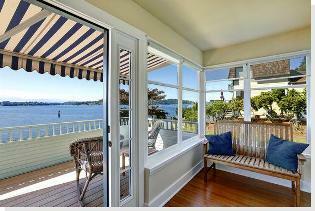 The fabric window awning kits are made with bronzed aluminum frames and Sunbrella marine weave fabrics. 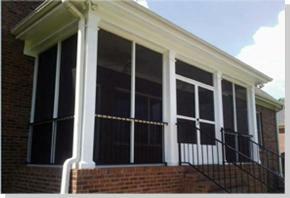 The metal window awning kits are constructed with heavy duty rust proof aluminum. All of our awnings come with a 5 year warranty. Doing it yourself does not mean doing it alone!